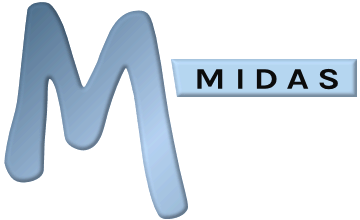 After your MIDAS scheduling software is updated to a newer release, you may notice that initially some visual elements look wrong, or that some functionality appears to be broken. This is most likely due to your web browser still retaining elements of the previous version of MIDAS you'd been using in its "cache" (memory). Clearing your browser's "cache" (also known as "Temporary Internet Files" in Internet Explorer) will likely resolve such issues. Ensure that the "Temporary Internet files and website files" option is selected, and then click "Delete"
Ensure that the "Cached data and files" option is selected, and then click "Clear"
Ensure that the "Cached images and files" tick box is selected, the "Obliterate the following items from" drop-down is set to "The beginning of time", and then click "Clear browsing data"
Ensure that "Cached images and files" tick box is selected, "Obliterate the following items from" drop-down is set to "The beginning of time", and then click "Clear browsing data"